There is something seriously askew with the world when Pravda, formerly the official newspaper of the Soviet Communist Party runs an editorial urging Americans not to give up our freedoms, especially the right to bear arms. 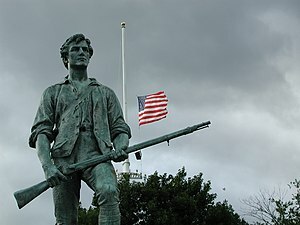 These days, there are few things to admire about the socialist, bankrupt and culturally degenerating USA, but at least so far, one thing remains: the right to bear arms and use deadly force to defend one’s self and possessions. Meanwhile, one of the most prominent newspapers in the United States has run an editorial calling for tyranny. Although, to be fair, the New York Times has been on the side of tyranny for a long time. And, while I am looking at links at The Drudge Report, Governor Andrew Cuomo knows how many bullets every one needs. “I say to you forget the extremists. It’s simple — no one hunts with an assault rifle. No one needs 10 bullets to kill a deer and too many people have died already,” Cuomo said. I wouldn’t know how many bullets it takes to kill deer, nor do I care. The second amendment isn’t to protect the rights of deer hunters but to protect all of us against tyrants. It often takes a lot more than ten bullets to kill a tyrant.